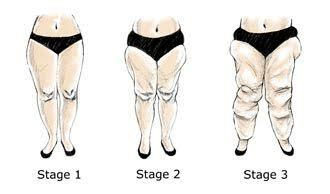 You are here: Home / Compression Therapy / Can Compression Stockings Help With Lipedema? She is a certified lymphedema OT and knows her products. Her website has her phone number. Where do you recommend finding good compression socks? I have 3 pair but can’t remember where I bought them. I have been having Neuropathy problems and am on gabapentin but at times still have issues. I don’t want to raise the dose. I recently tried wearing the socks I have and it seems to help me keep at work on my feet all 10 hours. The doc says I am not diabetic and monitors my blood every 3-4 months. My current socks come all the way up to my knee but short of the knee. Maybe I could get the same benefit with shorter socks?